Yeah buddy, it’s Monday! Let’s rev up that Evinrude with a little Monday Morning Rocketfuel. What’s every hacker’s weekend getaway? They go phishing. Ok, enough with the Dad jokes. Let’s dive in. Phishing is a scam that tricks people into giving up personal information. It’s usually done with fake emails trying to get your passwords or credit card numbers. Over half of internet users get at least one of these scammy emails a day. They can look like a friend asking for a favor or even a potential customer interested in doing business. Why do they do it? In short, money. Phishing is a $5 billion dollar industry. And they aren’t just trying to bilk little old ladies out of a couple grand. 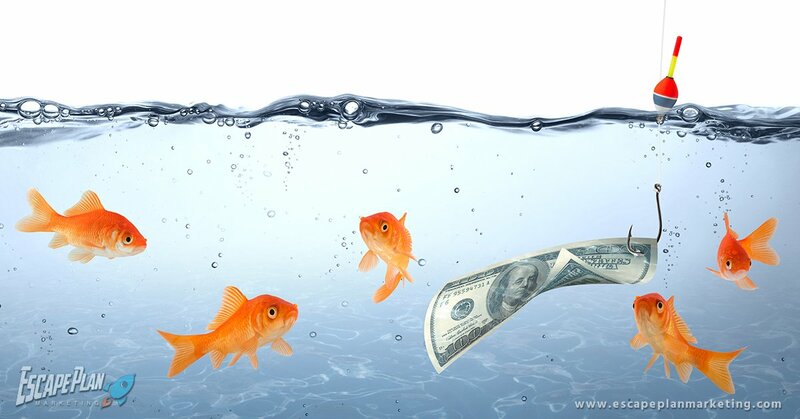 The average phishing attack costs mid-sized companies $1.6 million. Studies show that employees are the weakest link, so educating them is your best defense. This blog post on how to spot email scams is a great place to start. Take the time to educate at least one person this week about phishing. Share one of the links above or post the article on social media. Starbucks designed their round tables so you wouldn’t have to drink alone. Our friends over at Walser Technology Group let us know about a FREE Cybersecurity Lunch N Learn on Tuesday, March 26th 11:30-1:00 at TechWorks Gaston. Bonus: Lunch is included. A digital marketing pioneer, Drew has worked with top brands all over the planet for over 20 years.